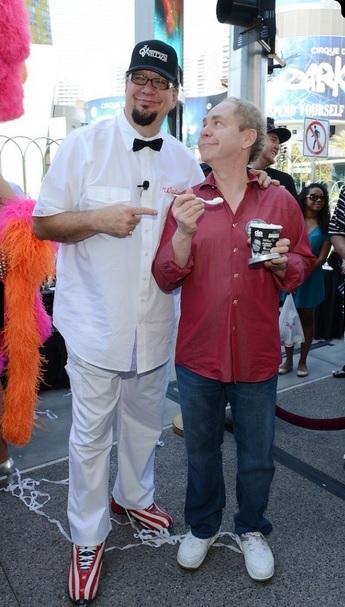 Celebrity Apprentice invades Las Vegas for the Finale of the hit show for Penn Jillette's Walgreen's Ice Cream presentation. 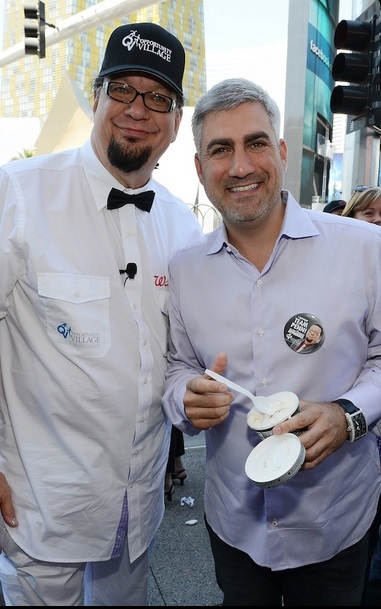 Penn of Penn and Teller, Las Vegas longest running duo is in the final two with Trace Atkins. 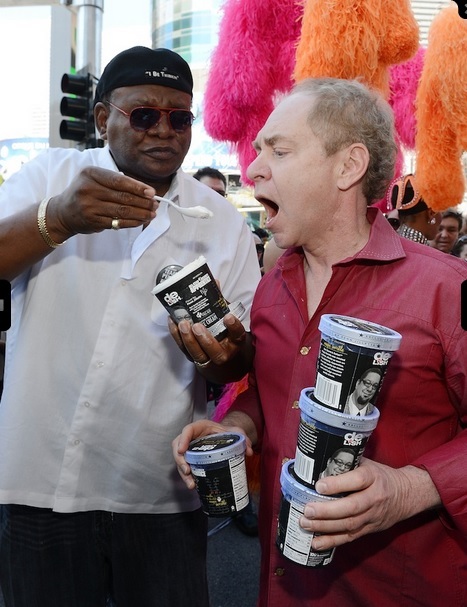 Celebrity Apprentice invades Las Vegas this week for the shooting in part of the finale to be seen Sunday on NBC. 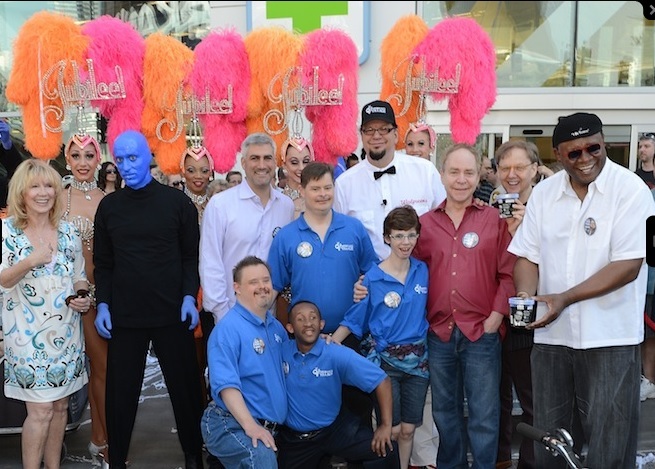 Seen above are the Celebrities, Taylor Hicks, George Wallace, Blue Man Group, Penn's partner, Teller and members of Opportunity Village. What stars will show up to help Trace Atkins win? Or is it impossible? 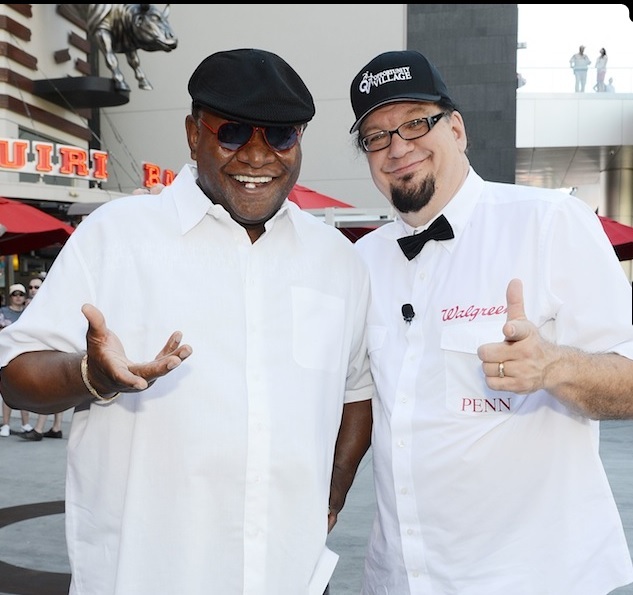 As Penn says, "Its Las Vegas vs Nashville and Las Vegas always wins"
Penn Jillette's charity is Opportunity Village, a Las Vegas based charity that helps those with intellectual difficulties. Elvis Presley was a big part of this charity and many Las Vegas Performers support it. Trace Atkins charity is the American Red Cross.